A lot has improved on Trailguide lately. Community functions, offline use, clarity and much more. Also find out about the web app technology and if it's a real app. What the heck is a web app and is it a real app? 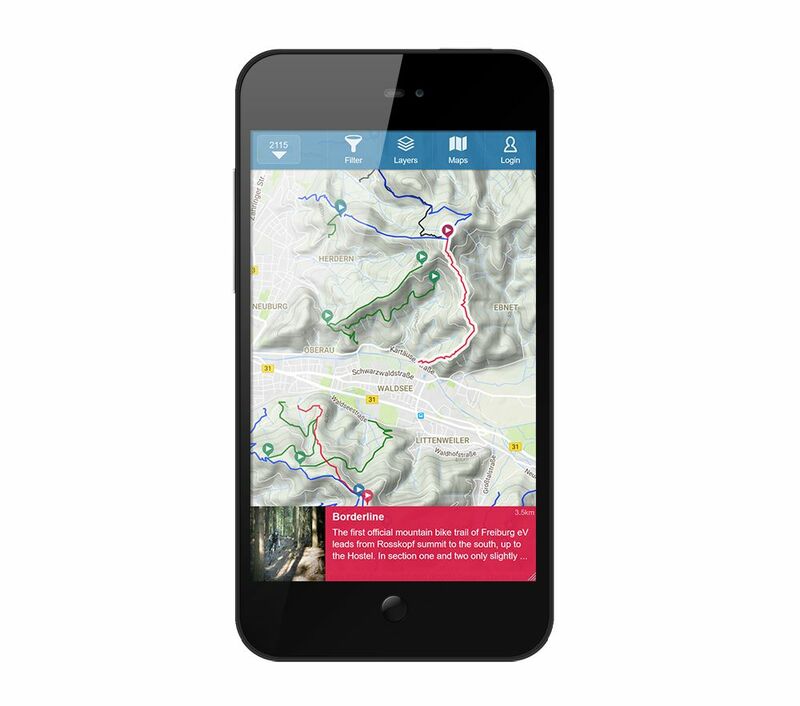 As you probably have seen, Trailguide is no native app. That has many advantages. 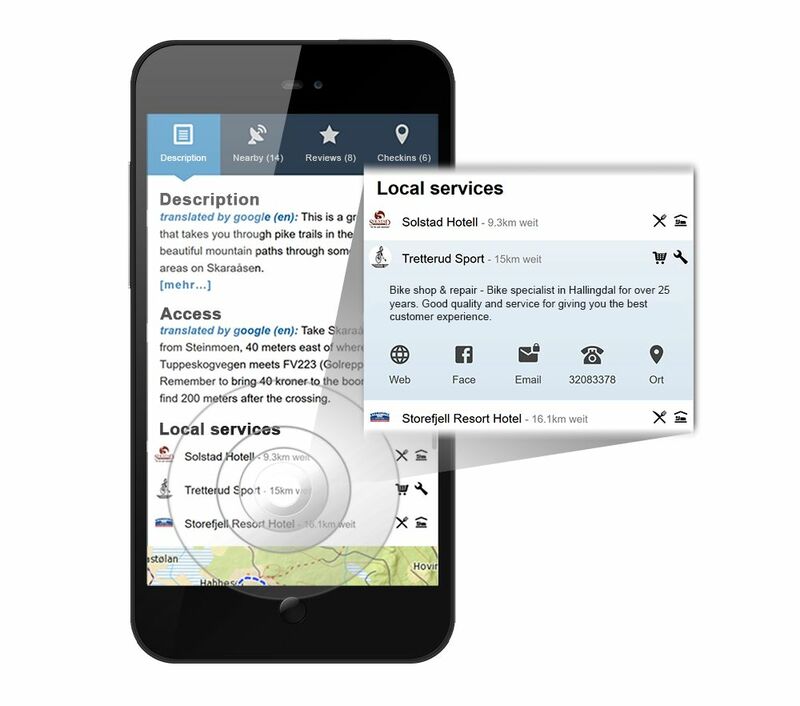 It is instantly accessible by everyone with a smartphone or a computer. It doesn’t need to be downloaded, needs no storage on the phone and no updates. It is fast and you always have the latest version and information. As it works browser based, it works on all kind of hardware with a proper browser like Chrome or Safari. 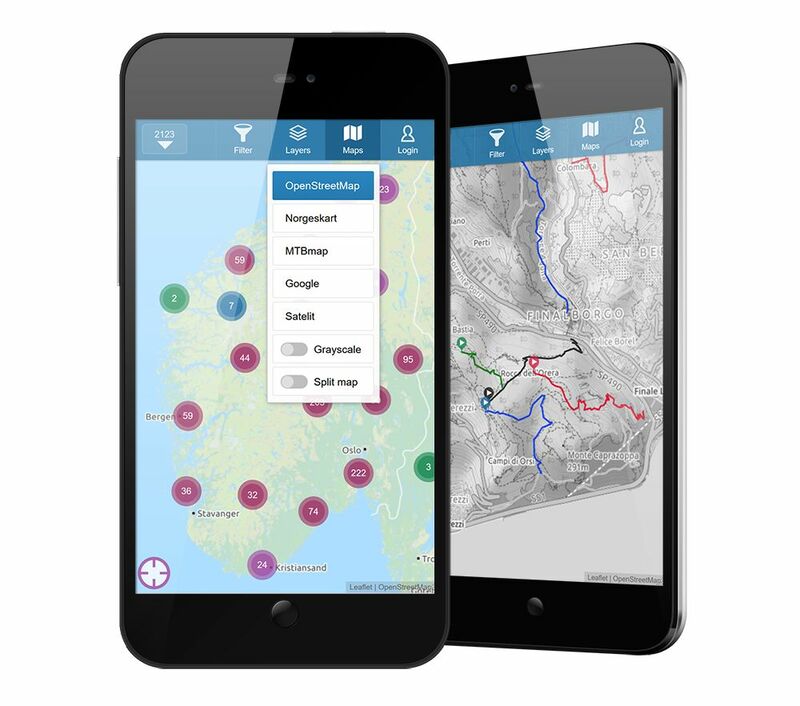 Open trailguide.net in your browser and place a link on your Homescreen. 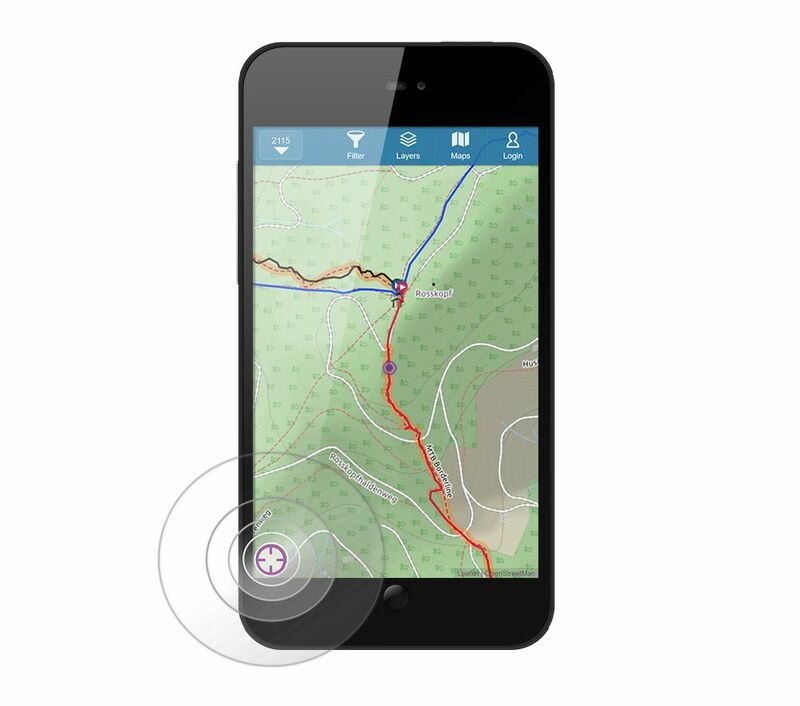 Then open Trailguide from there and it will work, look, feel and smell like an native app. But of course that also has disadvantages. The findability in app stores for example. The big players in the software business like Google, Apple or Microsoft push the web technology a lot. For consumers still nameless, programmers already know for some time what a PWA, a “Progressive Web App” is. PWA’s are web apps that have similar functions and design of a native app but are delivered with web infrastructure. Microsoft just announced to lift PWA’s to the next level and make them “first-class app citizens”. Other services like Google and Apple will follow soon. That means the web apps will also be listed and therefore findable, rateable, etc. in all app stores. To enable the functions of a web app, the browser has to support them. Today Chrome and Safari work the best with Trailguide (which are used on 90% of all mobile devices). Other browsers will follow soon. 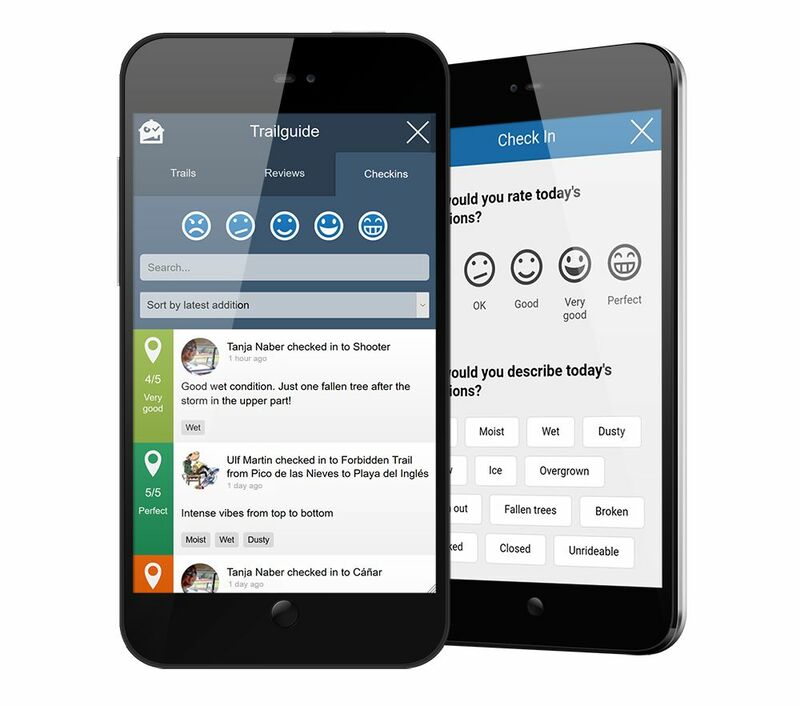 The reviews are a main community feature for everybody to see how the trail really is. To separate good from bad trails and to get an average difficulty. 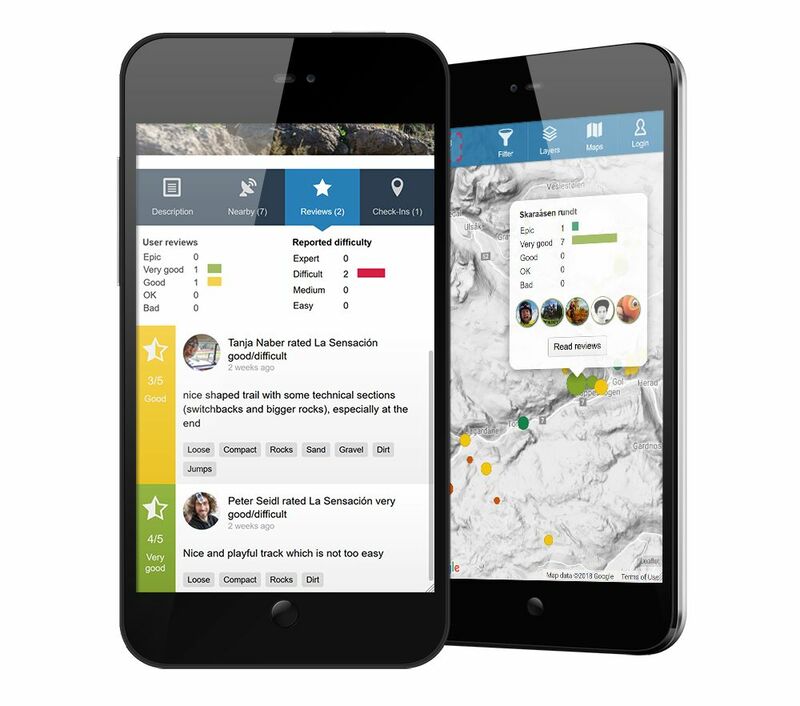 For trail builders and destinations to get feedback about their trails. When the trail and the difficulty was rated, you can see statistics and the individual reviews in the trail description. On the map, switch to the “Review” tab and you will immediately see where good or bad trails are. 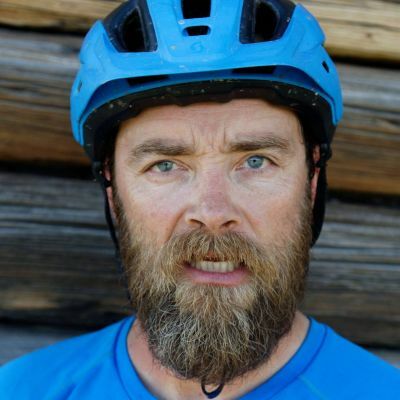 It’s a very useful information and important that everyone shares a review of the trail you rode. Log your ride and report todays conditions or trail damages. See the latest checkins in the trail description or switch to the “Checkins” tab and see the latest checkins close to you. In your user profile you see a list of all trails you checked in to and have an overview what you rode. Depending on the country different map types are available. We decided to change the global topographic map from the Open Cycle Map to the Thunderforest Landscape map. The Open Cycle Map is great, but there are too many official cycle trails in the data, which makes it look really crowded, and full of confusing colors. The Landscape map is also based on the very good Open Street Map database but has a cleaner look. To be able to distinguish trails better from the map, you can activate “Grayscale”. A very helpful function is the “Split Map”. Split the screen into one half satellite picture and the other half to a topographic map. Now you can check how the trails really look like and if it’s a singletrack or not. As with many other apps, you need to be connected to the internet to load new data. There are no more roaming costs, cheap and big data volumes are available and also the coverage improves (at the latest with 5G it should be very good). Nevertheless, there are situations where you want to have a secure function to navigate offline. To be honest, we don’t have that by now, but a solution that fulfills 90% of that demand. Before you start the tour, pan and zoom in the map to load all map tiles you will need later. Make sure you load all zoom steps you want and also the uphill and surroundings of the tour into your cache. Click also on the trail to load the description and pictures. Then switch off your mobile data. Your phone needs very little energy now, as only the GPS is switched on and the app doesn’t run in the background when you put your phone back into your pocket. Everything you loaded before is now cached and available offline. The web app still knows what to do when you use it, and with the switched on GPS you see your location on the map. Even actions like Checkins work offline and are uploaded when you are connected to the internet again. We improved the overview of the trails on the map a lot. From a certain zoom step on, the trails are visible. The trailhead marks the start of the trail and therefore the direction is visible. Click on the trail to open the infobar. Click on the infobar if you want to have more information and go to the trail description. To get information about the bike and tourism related services that are at a location, the businesses can register on Trailguide. 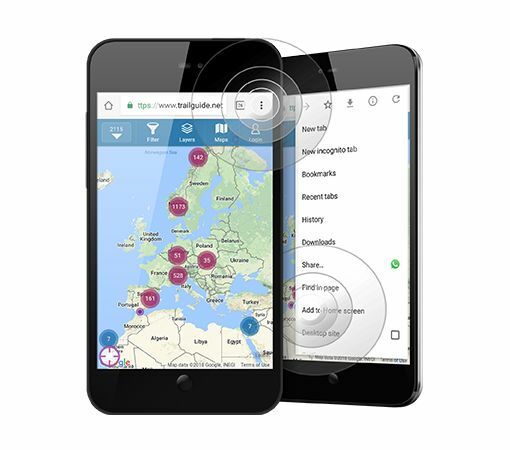 The users benefit from this information, can see the businesses in the trail descriptions nearby, and easily get information about their services, location and contact.